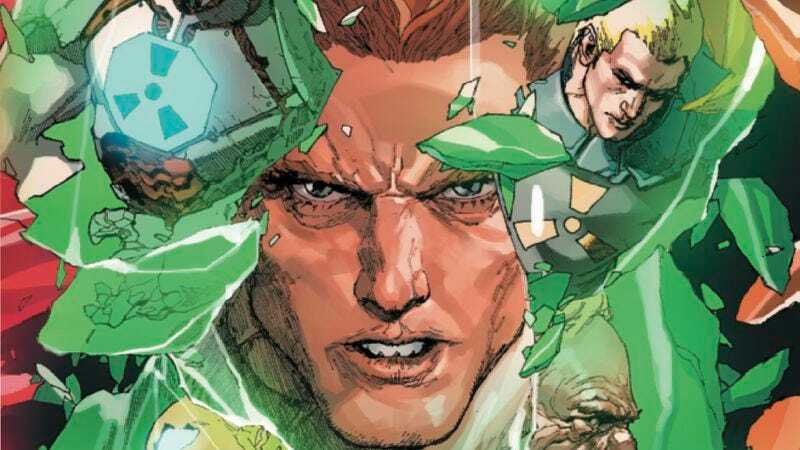 While the main Original Sin miniseries is a mishmash of ideas struggling to cohere into a captivating narrative, the tie-ins have benefited from exposed secrets that boost the momentum of each series. One of the most significant revelations has Captain America remembering his brainwashing by the Illuminati back at the start of Jonathan Hickman’s New Avengers, a betrayal that alters the course of Marvel history based on Hickman’s current time-jumping Avengers arc. Each issue takes a more drastic leap forward than the last, giving Hickman and artist Leinil Yu (with inker Gerry Alanguilan and colorist Sunny Gho) the opportunity to offer different sci-fi takes on the Marvel Universe that are as imaginative as they are disorienting. Next week’s Avengers #32 sees Captain America, Starbrand, and Black Widow transported to 5045 years into the future, where they discover a familiar face in the utopian garden of Earth: Franklin Richards, the infinitely powerful son of Reed Richards that received major development in Hickman’s Fantastic Four run. How this all fits together is still to be seen, but with Hickman’s Avengers run coming to an end in less than a year, the pieces have started to come together to form a big picture that extends across all of time and space.